The San Bernardino County Public Defender will be providing information for expungements, record sealing and certificates of rehabilitation from 9 a.m. to 3 p.m. on November 27 at a Health and Wellness Expo being held at Sewell Park in Fontana. Some individuals who are not eligible to petition the court to set aside a conviction pursuant to California Penal Code section 1203.4 or 1203.4a may be eligible for a Certificate of Rehabilitation (COR), which is a court order that a person convicted of a felony is now rehabilitated. If the COR is granted, it becomes an application that is forwarded to the governor for a pardon. The governor may grant or deny the pardon. Once a person has completed the required period of rehabilitation, a person may file for a COR in his/her current county of residence. Public Defender staff assists individuals with becoming productive and positive members of the community by clearing criminal convictions through a process that is often referred to as an expungement. Qualifying individuals seeking to clear their criminal records will submit a petition to the court pursuant to California Penal Code section 1203.4 or 1203.4a. The petition must be filed in the county where the conviction originated. In other words, San Bernardino courts will only handle petitions on San Bernardino County convictions. If the court grants the petition, the guilty plea is withdrawn and replaced with a not guilty plea, and then the court subsequently dismisses the case. The court’s act of granting the petition does not destroy the court’s record of conviction. However, it may assist individuals with obtaining employment or registering for school. This is just one aspect of our holistic approach towards rehabilitation and reintegration in a way that benefits the community. Forms can be located at www.sbpubdef.com under the Community Outreach section or questions can be answered at the event. For more information visit the Public Defender’s website at http://www.sbpubdef.com/community-outreach/expungement-program.html or call (909) 382-3950. If your record is expunged, could you conceivably get your 2nd amendment rights restored? Hi Pat, we can’t give legal advice so you would have to contact the Public Defender’s Office or an attorney to discuss your specific circumstances. You can reach the Public Defender’s office at (909) 382-7639. What is purpose of this blog when you dont answer any questions. Hi Ruby, we are answering questions, but we can’t give legal advice on the blog. Let us know if you need assistance with anything else. If you need specific legal advice, contact the Public Defender’s Office and they will be happy to assist you. Hello, I was just granted successful completion of probation by the courts. Under Welfare and institution Section 786, the court ordered to have my record sealed at the courts and all law enforcement agencies including the Department of Justice. I had a 10 year gun restriction on my case, will this be dismissed due to my record being sealed at the d.o.j? This case was when I was a juvenile. Hi Eric, please contact the Public Defender’s Office as we cannot offer legal advice on this blog. For more information visit the Public Defender’s website at http://www.sbpubdef.com/community-outreach/expungement-program.html or call (909) 382-3950. Hi. I was released from prison 13 years ago and have been off parole for 10 years without any other arrests. I was in prison a little over a year for California Penal Code 368 (B) 1 count – Injury To Elder. I paid my restitution and completed the 52 week Domestic Violence course. Am I eligible for the Certificate of Rehabilitation? And if so, how do I apply? Thank you for your help. Hi Thomas, please contact the Public Defender’s Office at (909) 382-3950. 1979 I was charged with, and convicted of, PC488. Was fined, served 1 day incarceration in SB and 2 years probation. The complaint vacated and set aside by the Judge and a plea of not guilty was entered in its place and the complaint was ordered dismissed (PC1203.4) in 1982. Please let me know what the chances might be of my record being sealed? Thank you. Hi Frank, please contact the Public Defender’s Office at (909) 382-3950. Unfortunately, the County cannot dispense legal advice on this blog. I have a conviction from 1994 in Joshua Tree, San Bernardino county. It resulted in annual registrations, probation & no jail time. I fulfilled the unsupervised probation and haven’t had any trouble since. Two years ago, I received a letter from the CA Attorney General’s office relieving me of my requirement to register annually. I also got a call from my local police department confirming I’m no longer required to register and my history of registrations would be destroyed. The form “Petition for Dismissal was enclosed along with the letter I received from the CA Attorney General’s office. I called the Joshua Tree Superior Courthouse to ask about this and the woman I spoke with said all I need to do is complete the form and mail it in. I live in San Joaquin county and would greatly appreciate even a phone consultation. Hi Manuel please call the Public Defender at (909) 382-3950. I was in probation got violation d.a wanted me to take a plea deal up state for 2 years I thought about it then declined but the d.a went on record to say if I didn’t get sent to state prison he would make sure no one from his office signs off on my expungement it’s been denied 2x one proper then second with a lawyer paid all fines and fees and also completed probation with a violation they reinstated me on what can I do been done with probation for 3 years now? Hello Dominique. We can’t give legal advice on CountyWire. You should reach out to the Public Defender’s Office at (909) 382-3950 to see if they can help. I was involved in a domestic dispute where my wife called the cops, this was back in 2013 or 2014, The case was later dismissed due to insufficient evidence. Meaning my wife never pressed charges. How can I have this removed off my record. Hi Santiago, we can’t give legal advice on CountyWire. You should reach out to the Public Defender’s Office for more information at (909) 382-3950. Procedurally, could an unlawful detainer case be sealed if the tenant wasn’t served or are there other reasons an unlawful detainer? This is a compound question. If you can answer the first part but not the second part, please do and so state. The above question for the other reasons for unlawful detainer refers to the sealing of the case. reasons for an unlawful detainer that is sealed by the court is? Good morning. Your question seems more suited for the courts or a private attorney. The County cannot provide opinions or guidance on legal matters. Thank you, and good luck with your case. Hi James, we can’t answer legal questions on this blog. Please contact the Public Defender’s Office for information: (909) 382-3950. Please contact the Public Defender’s Office for assistance. I was arrested few years ago, but no charges were filed,can I expungement the arrest record ? Where should I fill the expungement record application? Hi, please contact the Public Defender’s Office for questions on your individual case at (909) 382-3950. We can’t give legal advice for your particular situation on this blog. I have a misd. from 12 years ago and I’m now a college graduate trying to apply for the better jobs out there and most require fingerprinting and Im scared to apply.. i want to get it expunged. It was in Los Angeles county, but i now live in Ontario…I have all the paperwork filled out but i was wondering if anyone knows of a free resource center in the IE that can review my paperwork to make sure its all correct before I mail it. Contact the Public Defender’s Office and they may be able to refer you to a resource center. Good luck! Convicted of 33215 felony. On my plea agreement our is clearly written that the people of California agree to, 17b 1203.4 upon completion of probation. I’m finding it very difficult to speak to anyone regarding initiating my reduction. I was convicted in Victorville court. I have waited in lines only to be told that no one well sissy me at that court house. Where do I begin. I am also a registered nurse trying to restrain my licensure. How do I make sure this is expunged? I’m not sure if this is exactly the appropriate form for this but I’m hoping I can be redirected or provided with additional info as to where to get my situation resolved. Essentially, a month ago I reached a plea deal for a Misdemeanor “Disturbing the Peace” out of Rancho Cucamonga. On the SB County minutes portal, the results of my case were incorrectly notated as “Disposition of Conviction” for my original charges. I have a private attorney who is “handling” this but they’ve appeared twice at the courthouse now and it has yet to be corrected by the court. As time is crucial for me as I’m preparing to apply for internships in about a month as a college student is there anything else I can do on my end to expedite the process? Would it potentially be more beneficial if I showed up to court in-person with the original court documents of the plea agreement? Thank you kindly in advance! Hi Robert, unfortunately these are legal questions that can be best answered by an attorney or the court. You can always reach out to the Public Defender’s Office for assistance or the Superior Court. Thank you kindly for your prompt response, I’ll likely reach out to the PD’s office for further info/follow-up. I appreciate your help! I filed a 1203.4a 16 weeks ago though the public defender. The website articulates a time frame of 4-8 weeks for processing. I have contacted the DA they have found no objection for the motion. I have contacted the clerks office to express my concerns of the delay and they provide no reasonable explanation, only that they are “backed up” The motion has yet to sent to a judges bin. How do I contact a department supervisor or request an investigation to why this is taking so long. You should start by contacting your nearest Public Defender’s Office by phone. How should expunge mentioned paperwork be routed once completed? Emailed to Public defender? To court? Not clear on PD website. Contact your nearest Public Defender’s Office by phone before mailing or emailing the paperwork. At that time, you will receive further instructions. Are there any magic words to use. Victorville public defenders office didn’t let anyone speak to anyone else on the other side of the glass window. I have left reissued emails to Michael Mendoza, who is my public defender..
Hi Brant, we’ll let the Public Defender’s Office know you are trying to contact them. Hi, I was wondering how to request to have a misdemeanor charge that was dismissed, expunged or, the record itself, sealed. I’m very close to applying to several airlines and although my record won’t or shouldn’t disqualify me, the fact there is so much competition regarding this position, eliminating it altogether would def improve my odds of surviving the open interviews/making the cuts. Hi Christine. You should visit the Public Defender’s website at http://www.sbpubdef.com/community-outreach/expungement-program.html or call (909) 382-7639 for help and information. Would I still need to contact the public defenders office if I used an attorney? Hi Christine, we can’t give you legal advice on this blog. However, you are always free to contact the Public Defender if you have a question. Hi Ronald. You should visit the Public Defender’s website at http://www.sbpubdef.com/community-outreach/expungement-program.html or call (909) 382-7639 for help and information. I had an attorney file a petition for expungement, but I was wondering how I can check if it was completed or not? I cannot access it online so would there be a number I can call? Can my roommate serve the petition for rehab. and pardon then have a notary notarize the proof of service. Hi Paul, we can’t give legal advice on CountyWire. Please contact the Public Defender’s Office. I hired an attorney to submit paperwork on obtaining an expungement. How long does it take to usually get back pending all the obligations of my probation was met and it was my first and only DUI with no violations? Hi Melissa, you should contact your attorney for legal advice. If you need help from the Public Defender’s Office, please call (909) 387-8373. My father was deported to mexico and is living there for 6 years already. I was wondering if it is possible for me to reduce his felony into a misdemeanor? Or is there a form I can pick up to speak to someone who can assist me with more informatiom about this? He is not able to come here and I really want to reduce his felony so he can come back to the US. He has no previous criminal records and was accused injusticely. Hi Rosa, you should visit the Public Defender’s website at http://www.sbpubdef.com/community-outreach/expungement-program.html or call (909) 382-7639 for help and information. I tried calling, but it says it is not on service. I got a DUI in July 2012 , paid all the fines did my course and probation was 2 years , I’m looking in to getting it expunged from my record . I have not gotton any other tickrts or violations and wanted to know if I had a good chance if removing it through a free clinic or if I should hire an attorney. Hi. We can’t provide you with legal advice on this blog. Please visit the Public Defender’s website at http://www.sbpubdef.com/community-outreach/expungement-program.html or call (909) 382-7639. Good luck. Hi Patricia, that is a great suggestion. We’ve added contact information into the blog post. We’d still like to keep the comment section open however so people can let us know if they have questions. Thank you! I was convicted of 3 counts of possession of ephedrine with the intent to manufacture a controlled substance, in both city and county of San Bernardino back in August of 1999, sentenced to two years incarceration with three years parole, was released after serving thirteen months in California department of corrections, was granted an interstate compact having my parole transferred to my home state of Arizona and granted an early release after serving thirteen months. I have not been in any legal trouble since, aside from a few traffic citations. I do not reside in the state of California nor have I since 1996. At present I am of legal residence in the state of Missouri, am I eligible to be granted expungement under new California law? I got my COR.. LAST WEEK .. NOW CAN I GET AN EXPUNGEMENT… OF MY RECORD.. OR GET MY RECORD CLEAR..
Would it be a waste of time to apply for a certificate of rehabilitation? Or ahould we just take the generic answer posted and go to the P.D. office and ask? Hi! Yes, you’ll have to contact the Public Defender’s Office as we cannot give legal advice on this blog. Good luck! I have a domestic violence charge that was only a misdemeanor, and it’s been expunged, but I still cannot obtain firearm rights…what do I need to do? Assistance may be available by contacting the Public Defender’s office depending on the circumstances of your case. For more information visit the Public Defender’s website at http://www.sbpubdef.com/community-outreach/expungement-program.html or call (909) 382-7639. Question. I have two felonies out of SB County. They are over 20 years old. ( 1986 and 1988 ). Both possession charges. Since then I have never returned to that kind of life. I just retired from a local County after 14 years of Public Service and prior to that I worked for many years in Property Managing. I would like to more forward with getting my felonies dropped to misdemeanors and whatever else is available to me. Do I qualify, how long will it take and can I do this on my own without having to pay outrageous fees to a lawyer ? Please guide me to the proper place and I can come down tomorrow. Thank You so much ! Hi! You can get started with visiting the Public Defender’s website at http://www.sbpubdef.com/community-outreach/expungement-program.html or call (909) 382-7639 for help. I just lost a job job offer.. The case was welfare fraud. The money plus all fines were paid back early at which time probation was included. As a result of paying debt owed off early I paid a fee of120.00 for the case to be considered to be dropped. It was granted In 1999. In 2005 I went to the court house to be assured of this and was told that there was nothing attached to my name. What can I do to remove this entry completely so that I don’t miss out on future opportunities? Several years ago when my son was miner, he had a DVN REQUEST DOMESTIC VIOLENCE NO CHILDREN that was not . Is there anyway we can get this expunged? He also went to juvenile court for the same issue, but that is no longer listed. Is that case still on his record? I know that you cannot tell me since it is a specific case, but I would appreciate any information that you can provide us. Information on Court filings can be obtained through the Superior Court, http://www.sb-court.org/. 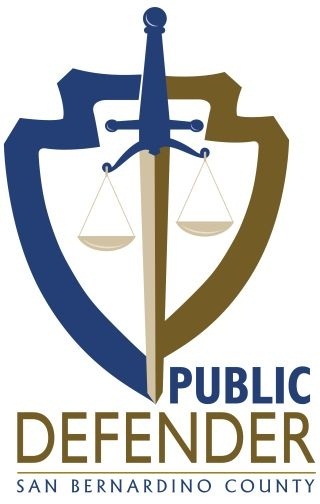 You should visit the Public Defender’s website at http://www.sbpubdef.com/community-outreach/expungement-program.html or call (909) 382-7639. I had my record dismissed under 1203.4 about 7 weeks ago, Im trying to apply for jobs (with police departments) and for a firearm permit, but the record hasn’t processed through the system yet, and is still showing as a Felony (“wobbler”/embezzlement of property)…and is not showing that it was reduced to a misdemeanor (possession of stolen property) and that it is in fact expunged… Is there any way that I can get a copy of the judgement/ expungement order? Is a dismissal under 1203.4 and an expungement the same thing? or are they different? And since my felony was reduced to a misdemeanor and dismissed (it was NOT a weapon related offense / NOT domestic violence) and was my only offense. Were my firearm rights automatically restored once my offense was reduced to a misdemeanor and expunged? If so s there any document that would show it? Hi Angel, we can’t give legal advice over CountyWire, but I urge you to contact the Public Defender’s Office for more information about the specifics of your case at (909) 382-7639. Good luck! I filled to dismiss my misdemeanor case and was granted the dismissal. The record still shows not guilty and dismissed. Can I expunge this record? Also, since my case states dismissed do I have to disclose this on an application? Thank you. Hi! Thanks for writing. Unfortunately, we can’t answer specific questions about your case online. Please call the Public Defender’s Office and they will be happy to assist you. Call (909) 382-7639 for help. can i filed a complaint again a district attorney, and a judge, please let me know. thank. Hi Steve, you’ll have to call the Public Defender’s office for answers to your questions. Visit http://www.sbpubdef.com/community-outreach/expungement-program.html or call (909) 382-7639 for help. I would like to know if by any chance will you be having any other workshops like the 2013, in the near future? I’m looking into getting my record expunged but I’m low income & can’t afford to pay too much. Thanks for your question Leslie. Please contact the Public Defender’s office at 909-382-7639 for guidance. Hi Sue, we can’t give out legal advice on CountyWire. If you have questions, you can contact the Public Defender’s Office at (909) 387-8373 and they can direct you to the proper place to get the answers you need. Inquiring about COR and if I can get the cert. for my entire record. I am coming up on being out of the system for ten years now, I am married and have a family and also have a contractors license, however I can not go hunting with family member because I am enable to possess a firearm. My record includes drug convictions and a drug related felony which I had reduced to a misdemeanor but DOJ will not approve me for a firearm.My question is… What exactly do I need to do to restore my rights to bear arms? Hi Gabriel, you need to call the Public Defender’s Office for that information at (909) 382-7639.